From the outside, Adrienne has everything any woman could want. But she knows what real happiness is, and it isn’t having a good job and a condo. Traveling home to her small Texas town for a friend’s wedding, Adrienne is hit from all sides with the happiness she hasn’t found for herself—her long-married parents, her joyful sister and brother-in-law and their two children, and her childhood friends. They all think she has it all… all except one. Trace has been something of a nemesis since grade school. Always ready with a quip and happy to squabble over even the smallest thing, Adrienne dreaded seeing him when she came back for the wedding. 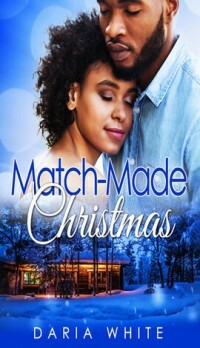 So when Adrienne learns her best friend’s Christmas wedding is canceled, she reluctantly partners with Trace to bring the feuding couple back together. As they work together, Adrienne must keep from falling in love herself. This is an adult sweet romance novel. A PDF file will be sent directly from the author to the reader. (Reviews at Apple Books, Barnes & Noble, Booklikes, etc. are appreciated).